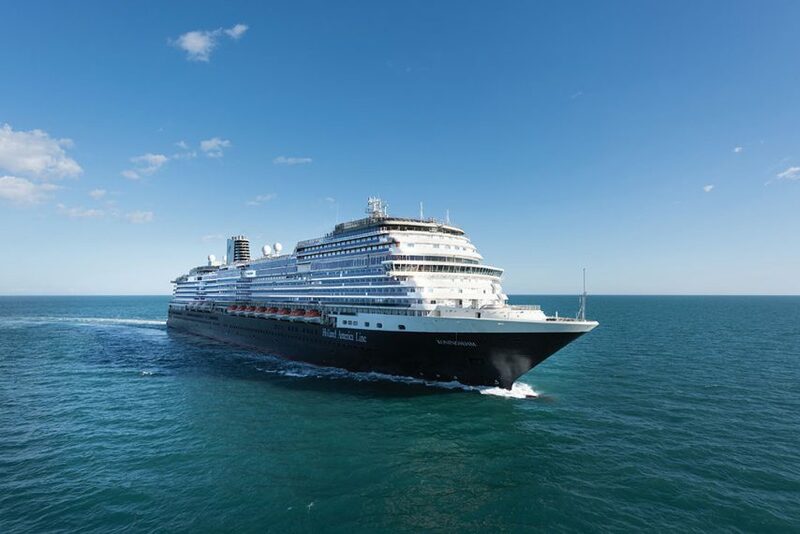 Holland America Line’s ms Koningsdam hits all the right notes. Stepping aboard ms Koningsdam it quickly becomes apparent that this isn’t your typical Holland America Line ship. 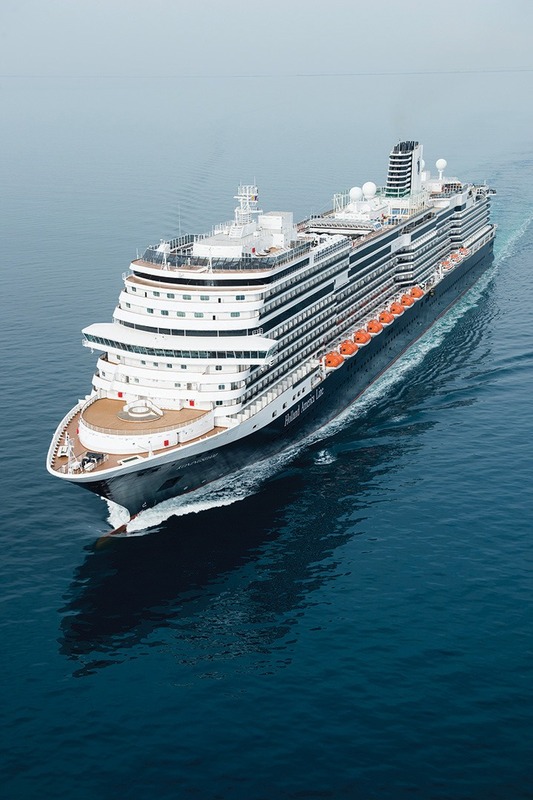 At 99,500 gross tons and carrying 2,650 passengers, ms Koningsdam is the largest ship ever built for the cruise line. The first of the new Pinnacle-class ships, ms Koningsdam offers the best traditions of the line’s Vista and Signature classes, but also debuts a sleeker interior design along with a number of new and exciting features such as purpose-built staterooms for families and solo cruisers, trendy new dining options, and a state-of-the-art 270-degree circular theater that takes cruise ship entertainment to a whole new level. Holland America Line has always been a more conservative cruise line when it comes to how it presents its ships. Where many lines focus on glitz, glamour, and gadgetry, Holland America has remained true to its traditional Dutch roots. 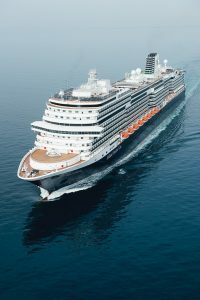 Still, the line felt compelled to make changes to Koningsdam with the goal to attract the next generation of cruisers while at the same time being mindful of the preferences of its dedicated Mariners (the line’s loyalty program members). To create the new unique areas of Koningsdam, Holland America brought in renowned hospitality architect Adam D. Tihany, who used musical inspiration for design and décor to tell a story as passengers move throughout the ship. The sleek music-themed styling enhances a number of the line’s old favorites, yet brilliantly highlights the new innovations. The most striking change from the line’s other ships is the three-story, circular midship atrium, which uses stainless-steel sculptures on each deck to represent a string quartet. The idea was for passengers to feel as if they are surrounded by a musical instrument. Another musically mused area is the Queen’s Room, where B.B. King’s All-Stars Band performs. This highly popular venue is an enclosed room on the line’s other ships; however, it has been opened up to connect with other venues along the Music Walk. The space is rich in woods and the curvy ceiling opening to the deck above allows light to filter in, which gives the illusion of being inside a violin. Other instrumental-themed venues include the new Sel de Mer restaurant, which features accordion-like wooden panels, and The Dining Room, with structural ribs inspired by the strings of a harp, a curved staircase that connects the two dining levels, and a sculptural gold wine tower in the center of the room. Another new addition to Koningsdam is the line’s first two-deck Lido Pool area, which offers more seating options such as lounge chairs and plush wicker seating areas to nap or watch movies on the big screen. Holland America is known for its great food because of its collaboration with the great chefs on its Culinary Council. Led by chairman and master chef Rudi Sodamin, this innovative team of world-renowned chefs was formed to direct, enhance, and inspire the onboard culinary experience. On ms Koningsdam, new premium dining venues offer not just cuisine, but what the line touts as “experiences” for passengers who are willing to pay the extra price. For example, the intimate Sel de Mer, an authentic French seafood brasserie, offers fresh seafood that is displayed Marseille-style as you enter the restaurant. The menu is a la carte and prices range from $2 for fresh vegetables to $49 for “Fruits de Mer,” which serves two. As a Maine native, I wanted to check out the Maine Lobster on the menu ($32) and I was pleasantly surprised by the two huge tails and claws that were spot-on in preparation and full of flavor. The new immersive farm-to-table concept dinner experience in the Culinary Arts Center is excellent. For the set price of $39 you can drink unlimited wine along with set cocktail options, and dine on entrées that are enhanced by freshly harvested microgreens grown on board. You can actually watch the greens grow in a glass-enclosed area in the restaurant. Try the “local” sprouting salad, ribeye cap with roasted parsnip purée, and the vacuum-poached sea bass. The venue is also used for cooking classes during the cruise. Also new is the wine-making venue, BLEND, created in partnership with Chateau Ste. Michelle, Washington State’s oldest winery. For $129 per person or $179 per couple (one bottle), guests are able to create their own blend after sampling from different varietals: Cabernet Sauvignon, Cabernet Franc, and Merlot from the winery’s Cold Creek and Canoe Ridge Estate vineyards. It was a convivial experience among fellow wine enthusiasts and quite festive as more wine was consumed. The onboard wine expert guided the group through various aspects of tasting and blending wines. After several attempts, my concoction of 50 percent Canoe Ridge Cabernet Sauvignon, 30-percent Cold Creek Merlot, and 20-percent Cold Creek Cabernet Franc yielded a velvety 2012 blend that I aptly dubbed, “Writer’s Block.” After I bottled my blend and adhered the personalized label, I was then able to take it with me for consumption in a dining room, restaurant, or stateroom (no corkage fee). The new Grand Dutch Café is a popular gathering place on the Promenade Deck with its cool coffeehouse vibe and fun Amsterdam house cutouts. The venue serves Dutch treats and European beer. Of course, there are also the traditional tried-and-true dining options: Lido Market buffet, which features more made-to-order stations; The Dining Room, which serves nightly Culinary Council chef menus; the Pinnacle Grill for fine seafood and steaks; Tamarind Asian cuisine; and Canaletto Italian fare. More casual options include Explorations Café, Dive-In burgers at the Terrace Grill, and the New York Deli & Pizza. 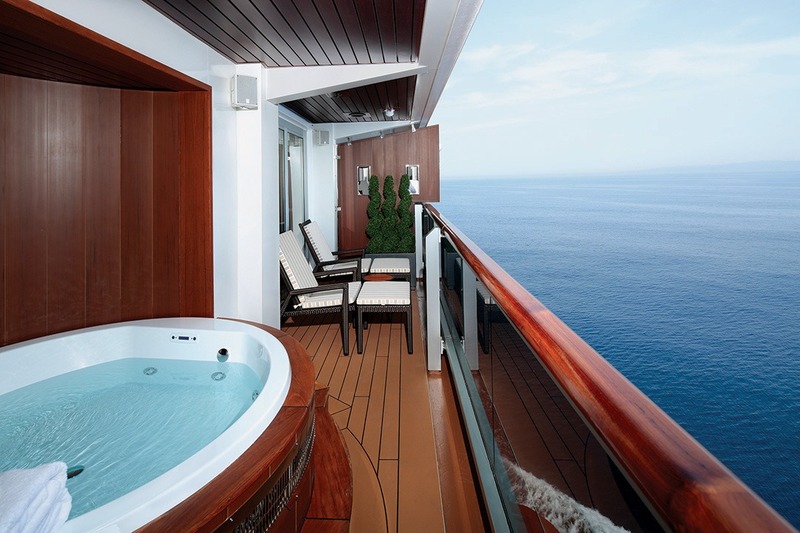 ms Koningsdam has the most staterooms with verandahs in the fleet with 912 total from Verandah to Pinnacle Suite categories. Cruisers who are into wellness can book verandah spa accommodations, which are located near the Greenhouse Spa & Salon and come with yoga mats and iPod docking stations. There are 266 standard and large interior accommodations of up to 225 square feet. 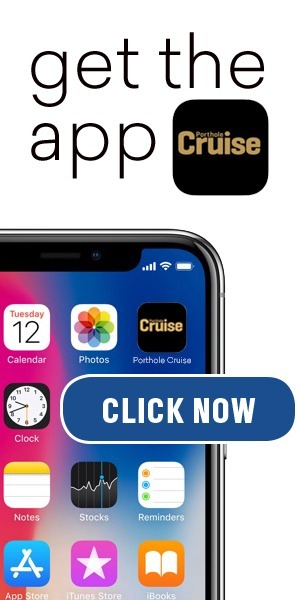 The line’s frequent cruisers will notice a number of stateroom changes including refrigerator/mini-bars moved into the closet area, floor-to-ceiling glass doors for showers, drawers under the bed, USB outlets, and life vest storage over the seating area. As more families are choosing to cruise, ms Koningsdam also offers 32 oceanview Family Staterooms, which range from 222 to 231 square feet and feature two bathrooms and accommodations for five people. There are also 12 single oceanview cabins for solo travelers, which range from 127 to 172 square feet. The 14 Signature Suites are up to 400 square feet in size and 104 Vista Suites range from 260 to 356 square feet and come with a number of amenities from pillow menus to concierge services. The 1,290-square-foot Pinnacle Suite and the 45 Neptune Suites range from 465 to 855 square feet and offer access to the exclusive Neptune Lounge as well as higher-end amenities. The most popular area of the ship for entertainment is the lively Music Walk with connecting venues that include Lincoln Center Stage, a partnership with the famous New York theater, offering chamber music nightly; Billboard Onboard, a partnership with America’s music charts, that features live rock performances of current hits; and the always-popular B.B. King’s Blues Club with authentic Memphis musicians playing soulful blues. The biggest wow factor on ms Koningsdam is the new World Stage, which breaks away from the line’s traditional theaters. The audience is surrounded by a two-story 270-degree LED screen. During the “One World” show, the screen was the star as it changed throughout the dancing performances evolving from desert landscapes, mountains, and forests to name a few. On the other hand, for the other big production “Musicology,” the screen was not the main focus and only highlighted the wonderful ballet performances with various interactive screen instruments. The stage is flexible and offers multiple options including more conventional opportunities for visiting entertainers. The entertainment on this ship is some of the best at sea. With its great new design, new entertainment, and new cuisine, ms Koningsdam remains true to the line’s roots, but also breaks the mold to offer Holland America guests a whole new take on tradition. Note: Prices are current at press time.